Random Access Memory, or RAM (pronounced as ramm), is the physical hardware inside a computer that temporarily stores data, serving as the computer's "working" memory. Additional RAM allows a computer to work with more information at the same time, which usually has a considerable effect on total system performance. Some popular manufacturers of RAM include Kingston, PNY, Crucial, and CORSAIR. There are many types of RAM, so you may hear it called by other names. It's also known as main memory, internal memory, primary storage, primary memory, memory "stick", and RAM "stick". Put simply, the purpose of RAM is to provide quick read and write access to a storage device. Your computer uses RAM to load data because it's much quicker than running that same data directly off of a hard drive. Think of RAM like an office desk. A desk is used for quick access to important documents, writing tools, and other items that you need right now. Without a desk, you'd keep everything stored in drawers and filing cabinets, meaning it would take much longer to do your everyday tasks since you would have to constantly reach into these storage compartments to get what you need, and then spend additional time putting them away. Similarly, all the data you're actively using on your computer (or smartphone, tablet, etc.) is temporarily stored in RAM. This type of memory, like a desk in the analogy, provides much faster read/write times than using a hard drive. Most hard drives are considerably slower than RAM due to physical limitations like rotation speed. RAM is typically referred to simply as "memory" even though other types of memory may exist inside a computer. RAM, which is the focus of this article, has nothing at all to do with the amount of file storage a hard drive has, even though the two are often incorrectly interchanged with each other in conversation. For example, 1 GB of memory (RAM) isn't the same thing as 1 GB of hard drive space. Unlike a hard drive, which can be powered down and then back on without losing its data, the contents of RAM are always erased when the computer shuts down. This is why none of your programs or files are still open when you turn your computer back on. One way computers get around this limitation is to put your computer into hibernation mode. Hibernating a computer just copies the contents of RAM to the hard drive when the computer shuts down and then copies all of it back to RAM when powered back on. Each motherboard supports only a certain range of memory types in certain combinations, so always check with your motherboard manufacturer before making a purchase. A standard module or stick of desktop memory is a long, thin piece of hardware that resembles a short ruler. The bottom of the memory module has one or more notches to guide for proper installation and is lined with numerous, usually gold-plated, connectors. Memory is installed in memory module slots located on the motherboard. These slots are easy to find — just look for the small hinges that lock the RAM in place, located on either side of the similarly-sized slot on the motherboard. Certain sizes of modules may need to be installed in certain slots, so always check with your motherboard manufacturer before purchase or installation! Another option that might help is using a system information tool to see the specific type of modules the motherboard uses. Memory modules come in various capacities and variations. Modern memory modules can be purchased in 256 MB, 512 MB, 1 GB, 2 GB, 4 GB, 8 GB, and 16+ GB sizes. Some examples of the different types of memory modules include DIMM, RIMM, SIMM, SO-DIMM, and SO-RIMM. MB and GB are units of measurement for data. Knowing the differences is important when purchasing RAM and other data-centric devices and services. Just like with a CPU and hard drive, the amount of memory you need for your computer depends entirely on what you use, or plan to use, your computer for. For example, if you're buying a computer for heavy gaming, then you'll want enough RAM to support smooth gameplay. Having just 2 GB of RAM available for a game that recommends at least 4 GB is going to result in very slow performance if not total inability to play your games (especially if the recommendation is 8 GB or more). On the other end of the spectrum, if you use your computer for light internet browsing and no video streaming, games, memory-intensive applications, etc., you could easily get away with less memory. The same goes for video editing applications, programs that are heavy on 3D graphics, etc. You can normally find out before you buy a computer just how much RAM a specific program or game requires, often listed in a "system requirements" area of the website or product box. It would be hard to find a new desktop, laptop, or even tablet that comes with less than 2 to 4 GB of RAM pre-installed. Unless you have a specific purpose for your computer apart from regular video streaming, internet browsing, and normal application use, you probably don't need to buy a computer that has any more RAM than that. The speed of a device is limited not just by the RAM but other components like the processor and hard drive, meaning that your computer could otherwise have high-end components but little RAM, which will affect the overall performance. The same is true in reverse: more RAM is great but won't make as significant of an impact if the CPU is slow. 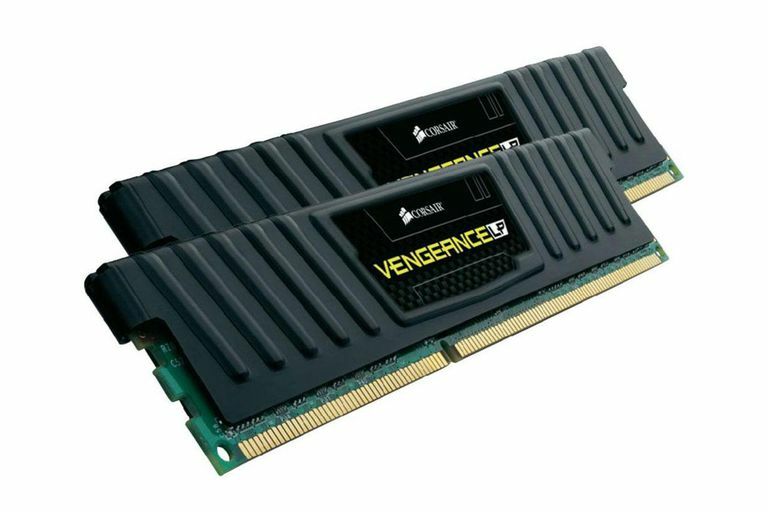 The first thing you should do if you suspect an issue with one or more RAM sticks is to reseat the memory modules. If one of the RAM sticks hasn't been securely inserted into its slot on the motherboard, it's possible that even a small bump could knock it out of place and cause memory problems that you didn't have before. If reseating the memory doesn't improve the symptoms, we recommend using one of these free memory test programs. Since they work from outside the operating system, they work with any kind of PC — Windows, Mac, Linux, etc. Your best option is to replace the memory in your computer if one of these tools identifies a problem, no matter how small. Though RAM is explained as a volatile memory in the context of this website (with regard to internal computer memory), RAM also exists in a non-volatile, non-alterable form called read-only memory (ROM). Flash drives and solid state drives, for example, are variants of ROM that retain their data even without power, but can be altered. There are many types of RAM, but the two main types are static RAM (SRAM) and dynamic RAM (DRAM). Both types are volatile. SRAM is faster but more expensive to produce than DRAM, which is why DRAM is more prevalent in today's devices. However, SRAM is sometimes seen in small doses in various internal computer parts, like with the CPU and as hard drive cache memory. Some software, like SoftPerfect RAM Disk, can create what's called a RAM disk, which is essentially a hard drive that exists inside RAM. Data can be saved to, and opened from, this new disk as if it were any other, but read/write times are much quicker than using a regular hard disk because RAM is much faster. Some operating systems can utilize what's called virtual memory, which is the opposite of a RAM disk. This is a feature that sets aside hard disk space for use as RAM. While doing so can increase the overall available memory for applications and other uses, it may negatively affect system performance due to the fact that hard drives are slower than RAM sticks.